Thank you for your interest in the one-year St Michael’s Hospital fellowship in Advanced High-Risk Obstetrics. Below you will find information regarding the hospital and the program. If you are interested in information regarding the two-year University of Toronto Maternal-Fetal Medicine fellowship program, click here. The objective of this fellowship is to train a specialist in the maternal and fetal aspects of High-Risk Obstetrics with skills and expertise to function as a consultant for general obstetricians and physicians from other disciplines that deal with complicated pregnancies. The trainee will obtain the skills to diagnose complicated pregnancies and to manage these pregnancies with other specialists (such as anesthetists and neonatologists) and care-providers from other disciplines. 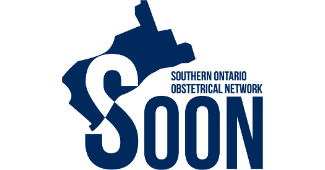 The specialist in High-Risk Obstetrics is expected to be able to function in a tertiary centre and to have the relevant administrative and academic responsibilities of a specialist in such a centre. This 1 year fellowship in Obstetrics and Gynecology includes hands-on training in the diagnosis and management of high-risk pregnancies with a special focus on Obstetric ultrasound. Knowledge of basic sciences and the clinical sciences as applied to Maternal-Fetal medicine, understanding of the different research areas in the field and the methodology applied to these areas. The fellow should have the ability to learn and to acquire new skills and apply them to practice. The clinical skills of history taking, physical examination, laboratory test interpretation, ultrasound diagnosis, and genetics as applied to High-Risk Obstetrics. Through collaboration with the other Maternal Fetal Medicine units in the University of Toronto (Mt. Sinai and Sunnybrook), to perform and /or observe advanced diagnostic and therapeutic fetal procedures such as amniocentesis, CVS, amnio reduction, fetal blood sampling and laser ablation of placental anastamoses. The ability to manage patients with complex medical and surgical diseases as well as patients with major obstetrical problems and fetal diseases and anomalies. To be able to provide comprehensive care in concert with other specialists and care providers. To be able to provide care in consultation antenatally as well as intrapartum and to provide prenatal diagnosis, fetal assessment and therapy. Have empathic and sensitive attitudes to patients, their families and other members of the medical team. To incorporate ethical approach to clinical problems. To develop communication skills enabling discussion of complex issues with patients and families as well as the ability to present complex patients and issues formally as presentation and informally to colleagues. Have an understanding of the organization of advanced obstetrics on all its levels (national, provincial, regional and hospital based) and to be able to take part in planning and administration of perinatal care. Formulate a relevant scientific clinical question and transform it into a research plan. The fellow will acquire the relevant laboratory or research tools needed to execute this research, perform the research and analyze the data obtained in a meaningful fashion resulting in scientific publication. The first step in the application process is the pre-assessment. You will need to submit an updated copy of your CV and a cover letter outlining the reasons you are interested in our program, along with the Application Form. Eligible candidates will be considered for an interview. In order to apply, you have to have finished an accredited residency in Obstetrics and Gynecology. If the training was not in the English language, you will need to successfully complete the TOEFL exam before you can be accepted into the program. Note: Applicants who have not completed their training in the English language and have been invited for an interview will need to complete and submit their TOEFL exam results before the interview can be scheduled. Founded in 1892 by the Sisters of St. Joseph to care for the sick and poor of Toronto's inner city, the Hospital is renowned for providing exceptional patient care from a long-standing tradition of caring. Fully-affiliated with the University of Toronto, St. Michael’s Hospital performs about 26,000 day surgeries, treats more than 600,000 patients in clinics, sees more than 57,000 patients in our emergency department and provides around-the-clock care to 24,900 inpatients each year. 5,000 staff, 600 physicians, and 1,100 students are immersed in an integrated patient-centric model of care. With more than 450 inpatient beds and extensive outpatient clinics, the Hospital is a major tertiary referral centre and is downtown Toronto's designated trauma centre for adults. The Hospital is home to about 150 researchers who use a “bench-to-bedside” model – where patient care inspires research studies and their findings are transformed into clinical care initiatives. Research efforts focus on four key areas at St. Michael’s Hospital: critical care, inner city health, global health, and knowledge translation. Accomplishments have attracted the support of generous philanthropists and, in 2010, St. Michael’s Hospital became home to the Li Ka Shing Knowledge Institute – a facility housing The Keenan Research Centre and the Li Ka Shing International Centre in Health Care Education. A North American first, the Knowledge Institute has become a global venture dedicated to discovering new mechanisms to fight disease by bringing proven treatments to patients to save more lives faster every day. The Hospital is planning to build a new critical care wing in a few years, which would add about 100,000 square feet of space for patient care in the expansion.